Extruding (expansion) technology is a widely used technology in modern feed processing. 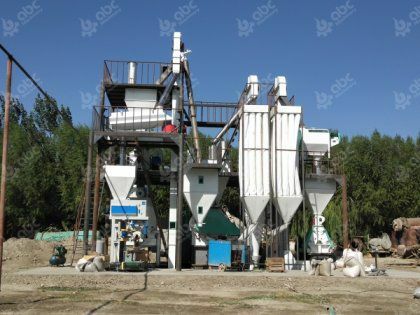 Feed processed by extrusion technology has many advantages, such as starch gelatinization and degradation, protein denaturation, reducing anti-nutritional factors, increasing palatability, etc. But there are also some disadvantages, such as producing non-digestible substances, destroying vitamins and increasing costs. In the extrusion technology, material containing certain moisture is fed into the feed extruder, driven by the screw rod and screw, material moves forward to form an axial direction; material and screw, material and barrel as well as the material inside generate friction, so that material is strongly extruded, stirred and sheared, makes the material further refines and homogeneous, with the increasing pressure and temperature in the feed extruder machine chamber and the internal friction between the material and screw, material and barrel. With the increase of temperature, high pressure and high shear force, the composition of materials has undergone complex physical and chemical changes. 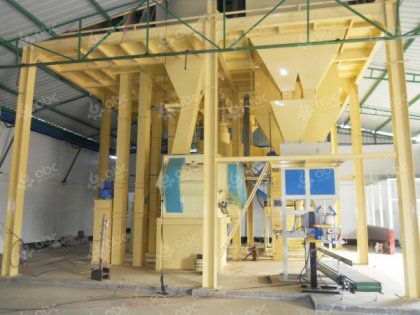 Finally, the paste material is ejected from the die hole, which produces instantaneous pressure difference, and the material is expanded, thus forming a loose, porous and crisp extruded product. 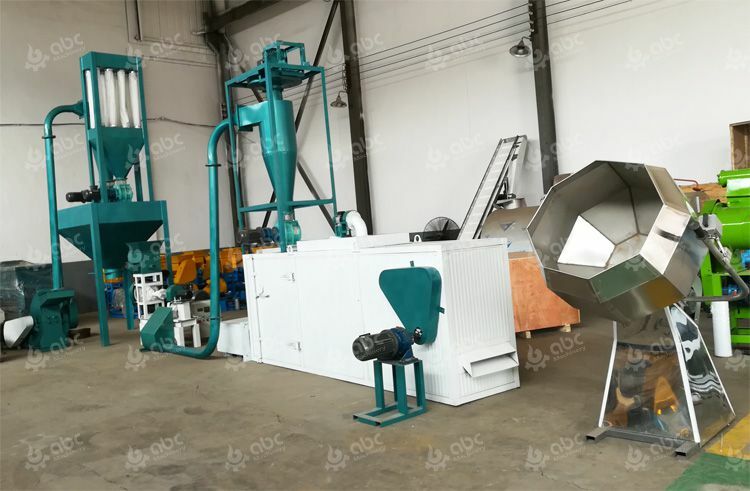 Feed raw materials after extruding and expanding have unique fragrance and fluffy feeling, good palatability, high gelatinization, and good food attraction to animals. At the same time, the long-chain structure of some organic substances, such as protein and fat, becomes short-chain structure, which makes animals easier to digest and absorb. After extrusion, starch changed in2 aspects. One is starch gelatinization, which breaks up the dense crystal structure of starch molecules during the expansion process. The crystal structure absorbs water, disintegrates, breaks the hydrogen bond, and breaks the expanded starch particles into a viscous melt. 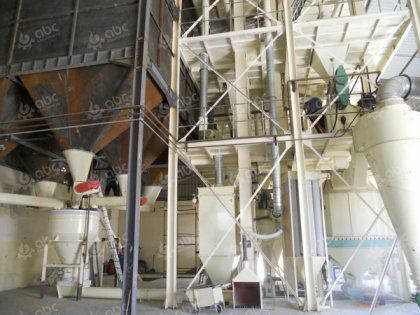 At the outlet of the extruder, because of the sudden drop of instantaneous pressure and the instantaneous loss of steam, a large number of extruded starch granules disintegrate and starch gelatinize, forming a lot of micro-porous extruded feed. On the other hand, starch is degraded and the average molecular weight of starch decreases obviously. Oligosaccharides with small molecular structure such as maltodextrin can be produced by cracking. Gelatinized starch has strong water absorption and much stronger bonding function than ordinary starch, which can reduce the amount of starch used in production and provide more choices for other raw materials. At the same time, gelatinized starch can combine protein closely with starch matrix to form rumen non-degradable proteins, i.e. rumen-passing proteins, which can improve the utilization of protein in ruminants. Under the combined action of high temperature, high pressure and high shearing force in feed extruder, the tertiary and quaternary structure of protein is destroyed, the molecular structure of protein is stretched and recombined, the surface tends to be homogeneous, and some parts of intermolecular hydrogen bond and disulfide bond are broken, resulting in the final denaturation of protein. The degree of denaturation of protein is closely related to the parameters in extrusion process. 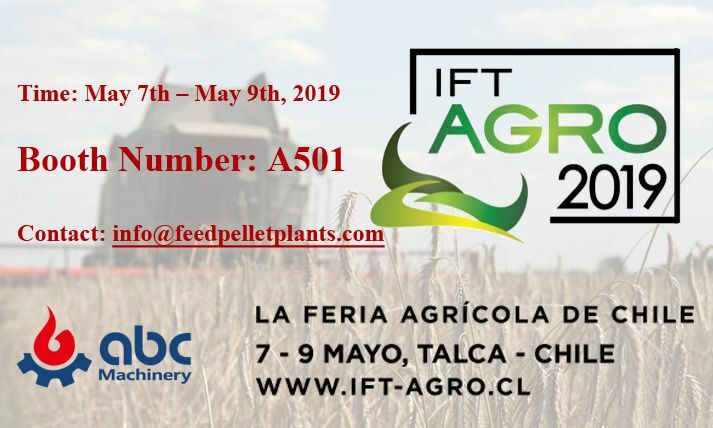 Many anti-nutritional factors such as urease, anti-trypsin and haemagglutinin in soybean, mustard enzyme in rapeseed meal and mustard glycosides produced by its decomposition of glucosinolates, gossypol in cottonseed were also inactivated during extrusion. Extrusion destroys the cell wall structure of oil seeds and releases oil. 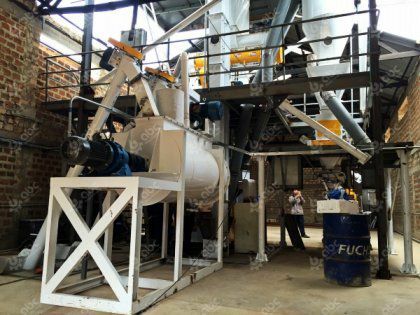 This process can improve the utilization of oil. Expansion can also form a compound product (lipoprotein) or (lipopolysaccharide) of fat with starch or protein, which can reduce the content of free fatty acid, passivate esterase, inhibit the degradation of oil, reduce the rancidity of oil components in the storage and transportation of products, and is conducive to the long-term preservation of feed. 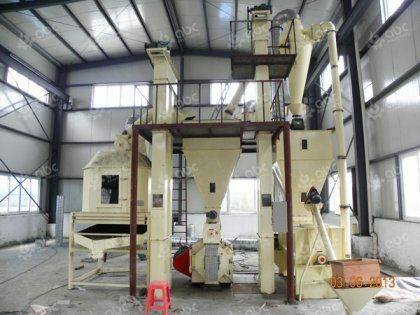 The extruded feed has small granularity, crispness and coke aroma, which improves the palatability. The extruded feed becomes loose and disordered, which provides a larger contact area for enzymes, facilitates the contact of starch chains, peptide chains and digestive enzymes, facilitates the digestion and absorption of feed, and thus improves the digestibility of feed. Extrusion can greatly reduce the crude fiber content in feed. By means of extrusion technology, due to the instantaneous expansion effect from high temperature and pressure to the outlet, the lignin in the cell interstitium and the inner layers of the cell wall melts, some hydrogen bonds break, and the macromolecule substances are decomposed into low molecular substances. 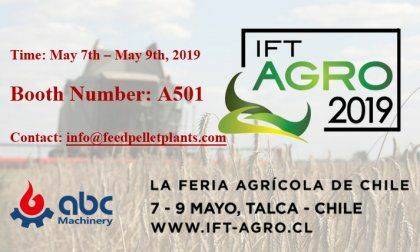 The original compact structure becomes fluffy, and some digestible substances are released during extrusion, which improves the utilization rate of feed. 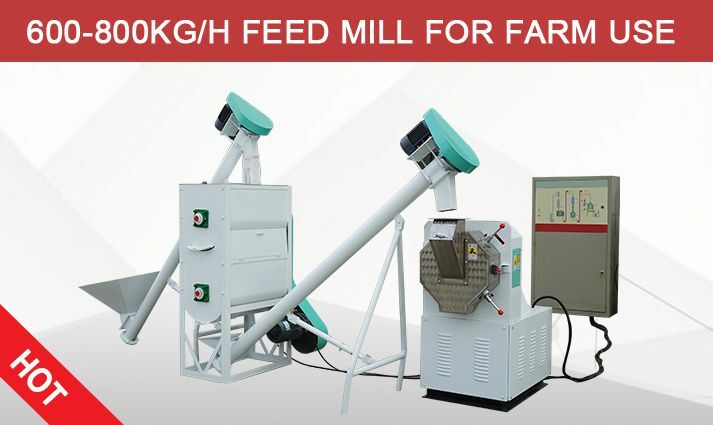 Under the action of high temperature, high pressure and expansion, the material kills the content of mould, bacteria and fungi in the raw material, thus improving the hygienic quality of feed and effectively reducing the occurrence of animal diarrhea, gastroenteritis and dysentery. During extrusion processing, Maillard reaction occurs between reducing sugar and free amino acid in feed, which decreases the content of reducing sugar and free amino acid in feed, resulting in the weakening of the availability of amino acid. The loss of vitamins, especially water-soluble vitamins, can be caused by friction under high temperature and pressure and evaporation of water. Therefore, the loss rate of water-soluble vitamins can reach 50% in feeding. Additional vitamins should be added to the animal feed to compensate for the loss caused by extruding.